Our rental and sales guys have teamed up to bring our customers another great Pro Deal! For a limited time, get a FREE STIHL MS170 Gas Chainsaw when you book a month-long rental of select professional construction equipment. 2.) 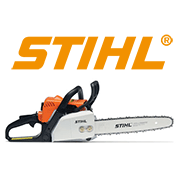 Get a free STIHL chainsaw – It’s a simple as that! Click on any of the rental categories above to get started or call us today (888-879-3426)!